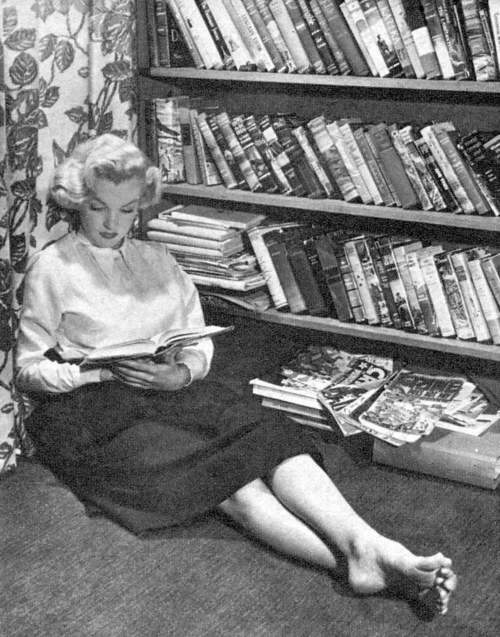 Heaven. 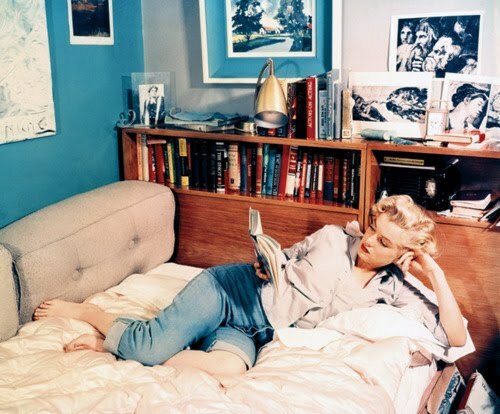 A limitless library where books are never past due and there's always a soft, cozy spot to curl up with a good book. 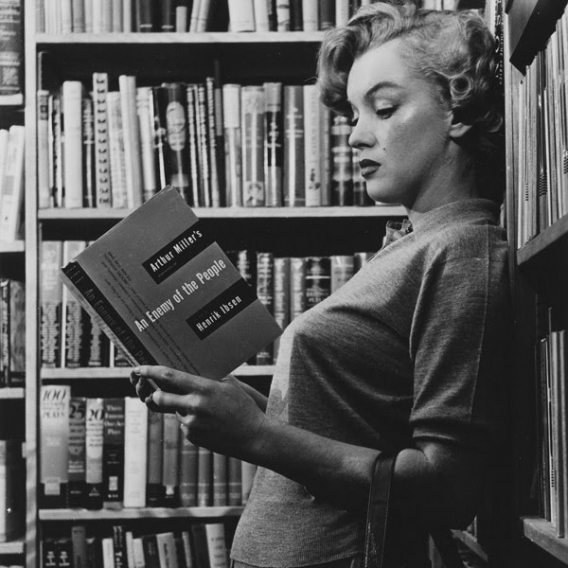 Marilyn Monroe would have been 90 years old today. 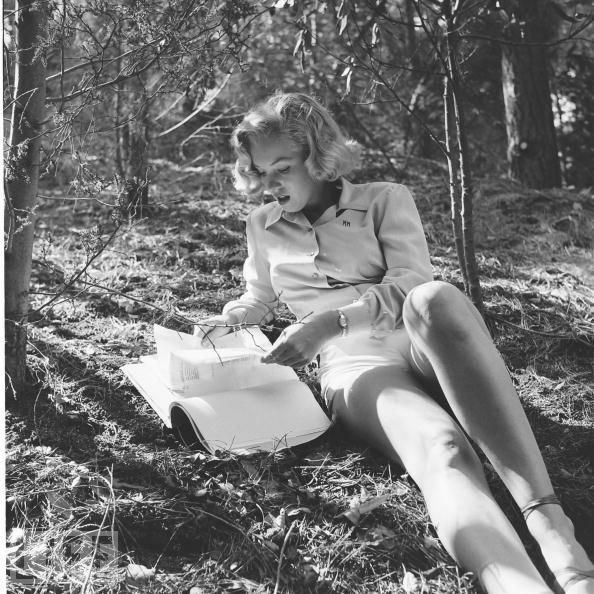 Can you imagine what the twitterverse and media would have done to Marilyn as time left its trace? There's only so much Botox and even the most extreme face lifts can do; the world would have eaten her alive. The world did eat her alive so instead we remember her frozen in time, forever 36. "I would have liked to know you, but I was just a kid. 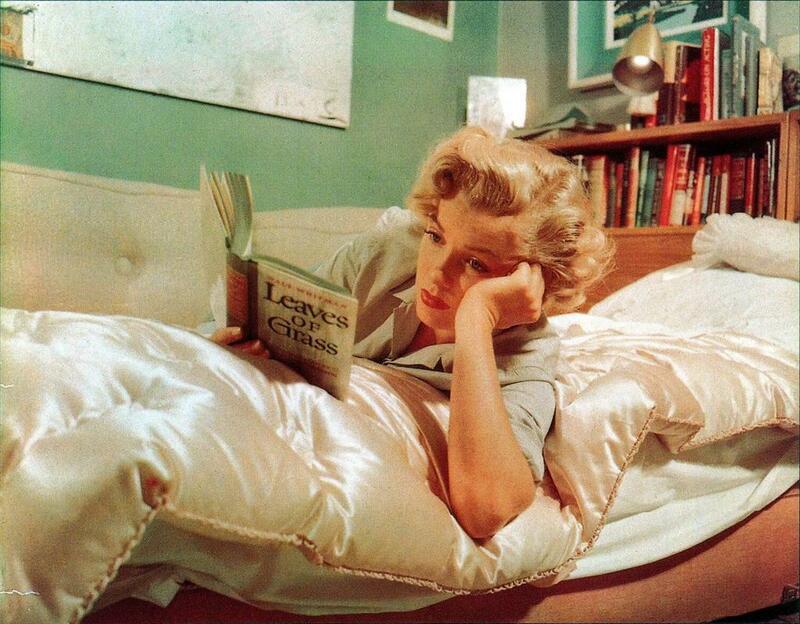 Your candle burned out long before your legend ever did." 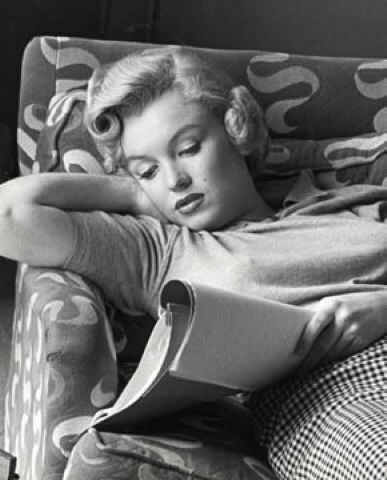 May you always be in the middle of a good book. 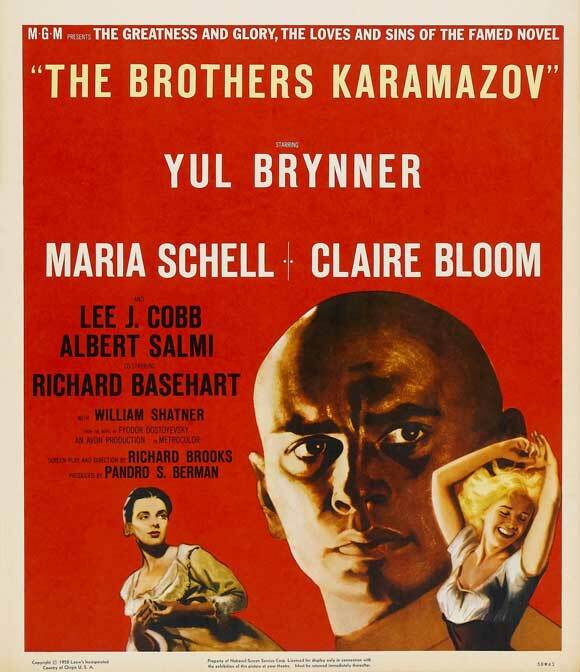 The Brothers Karamazov starring Yul Brynner and Maria Shell has a whopping 22% on Rotten Tomatoes. Just imagine Marilyn doing the gypsy dance performed here by Maria Shell. She would have killed it. 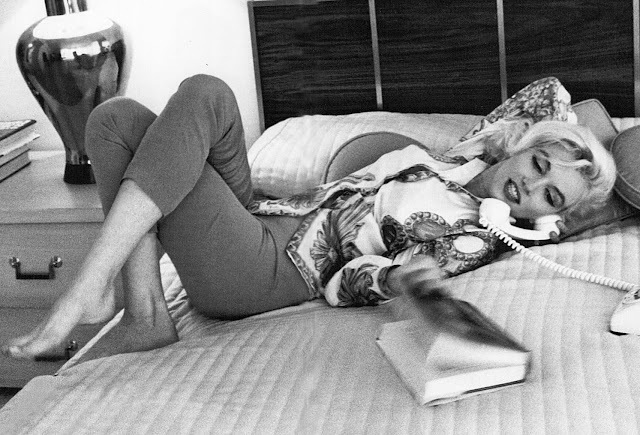 Then check out a scene from one of my favorite Marilyn movies, Some Like it Hot. 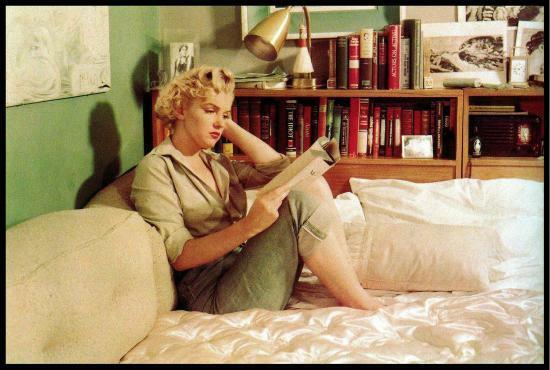 I think Marilyn Monroe is really reading the books. 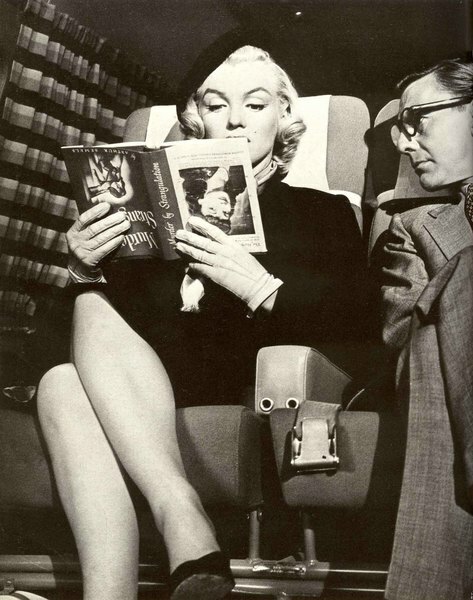 The photo with the upside down book makes me hesitate for a moment. 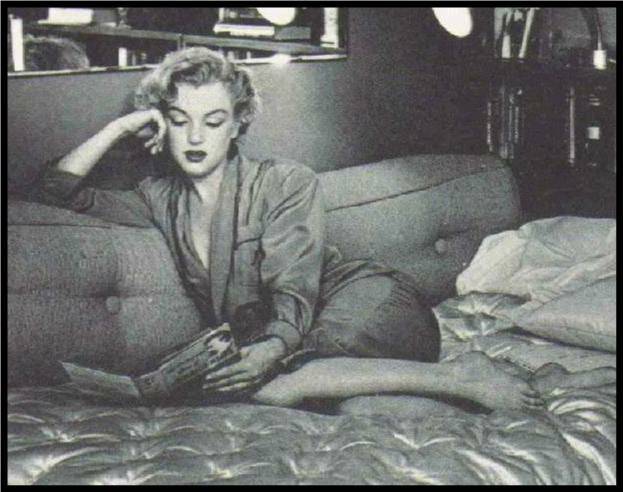 If she posed for that one, did she pose for all the other book photos? 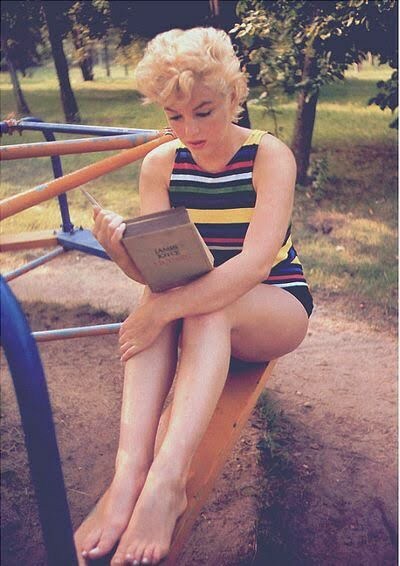 Really, I think we didn't really know Marilyn Monroe. Dumb?? I don't think so. I remember her best singing "Diamonds are a girl's best friend." 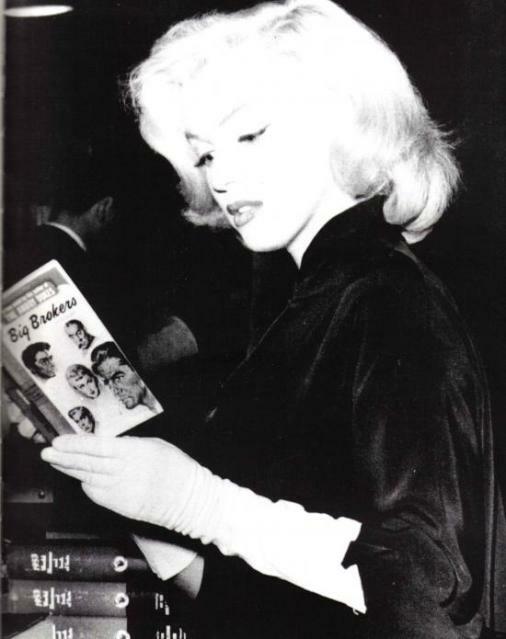 Plus, I did read about a love affair with a certain very important and famous guy. Won't mention any names. I remember the suicide too. Sad news.